The first player expected to return is slugger Mark Trumbo, who clubbed a grand slam during his first rehabilitation appearance with Triple-A Reno on Monday night. 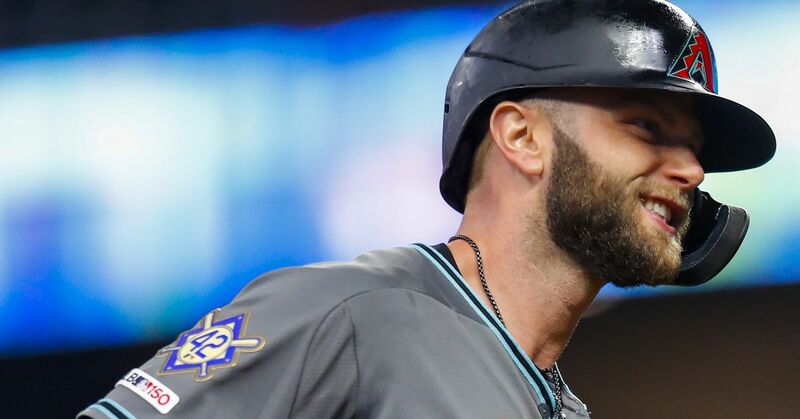 He was in the Aces' lineup again on Tuesday and Diamondbacks manager Kirk Gibson said there's a chance Trumbo, working back from a stress fracture in his left foot, could be activated in time for Arizona's three-game series at San Francisco, which begins Friday. Trumbo will continue to face live hitting at the D-backs Spring Training facility and should be running bases by the end of the week. His return is likely to happen either just before or after the All-Star break. Left fielder Mark Trumbo, out with a stress fracture in his left foot, is scheduled for another doctor's visit this week to gauge how much the injury has healed. Trumbo isn't expected back until the second week of June, at the earliest. Arizona Diamondbacks outfielder Mark Trumbo has been placed on the 15-day disabled list due to a stress fracture in his left foot. The team recalled Roger Kieschnick from Triple-A to take his spot on the 25-man roster. Trumbo got off to a red-hot start for Arizona with five home runs in his first nine games on the new season. His play has dropped off considerably after that early surge, however. His on-base percentage has dipped to .264 and he's only chipped in two more homers since April 6. The Associated Press (via ESPN.com) reports Trumbo was originally dealing with plantar fasciitis during spring training, and the current belief is the outfielder was overcompensating for that ailment, causing the stress fracture to develop. The plantar (fasciitis) at times has been pretty bad but manageable. That's what you have to do. You've got to earn a living and play. This was to the point where I severely had to compensate running-wise to the point where I probably wouldn't be much of an asset on either side. The report also notes the slugger had a similar issue in the opposite foot three years ago and it took more than five months to recover. 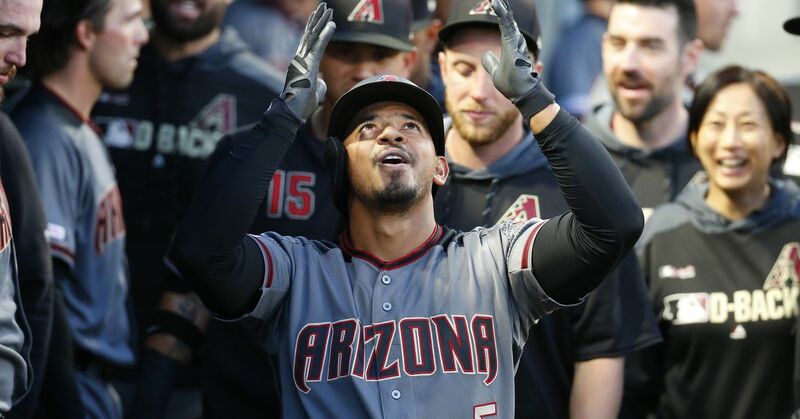 Although this injury isn't as serious, there's no timetable for his return to the Diamondbacks lineup. Kieschnick is a 27-year-old outfielder with just 38 games of experience at the major league level. He was hitting .281 with three home runs in 18 games for the Triple-A Reno Aces before the recall. Cody Ross will likely play a majority of the games replacing Trumbo in left field for the time being.